A ceremony to celebrate the inclusion of 90 Shakespeare documents in UNESCO’s International Memory of the World register has been held in London. Documents created during the lifetime of William Shakespeare and relating to the playwright’s life events, business dealings and legal actions now form part of the register of culturally and historically significant items, artefacts and buildings from across the world, which includes the Egyptian pyramids, the Gutenberg Bible, and the Bayeux Tapestry. The Shakespeare documents held by The National Archives form the largest collection of its kind and feature nearly half of all known contemporary references to his life – including four of his six known signatures. Dr Katy Mair, Head of Early Modern Records at The National Archives, said: ‘We are delighted that The National Archives’ documents have been included in the UNESCO International Memory of the World register. Our collection provides a priceless perspective on Shakespeare’s life in London. 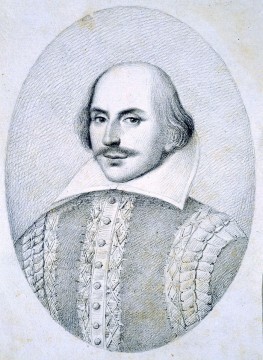 The successful nomination was led by the Shakespeare Birthplace Trust in partnership with The National Archives, Worcestershire Archives and Archaeology Service, the College of Arms, the British Library and London Metropolitan Archives in the UK, and the Folger Shakespeare Library in Washington DC, USA. Watch videos about our conservation of Shakespeare’s will or read more about our latest research into the playwright’s life and death. Read more about Shakespeare in our blog.